The mysterious parcel is revealed!! I mentioned in my previous post that I received a package that got me very happy. And how can I not be happy when I’m spoiled by friends in this hobby! Irene sent me a parcel sometime ago, and luckily this time arrived quite fast comparing to the last one. I’m always so happy to receive letters and Irene is so generous and kind every single time. Look at all the goodies!! She even got me the black shoes I mentioned in my review that I wanted from taobao! and aren’t those jumpers the cutest? I also got some really nice crafting supplies and ribbons and a letter that made me feel nice. And since I wanted to show off the new clothes, I took some pictures. They didn’t turn out great because of the weather (and I set the ISO to 800 to get some light! ), but you can still see how cute Ailene and Faolan look! They aren’t supposed to even know each other at this point so this is a very rare occasion! Faolan looks fabulous! it makes me want to keep him like this forever, He’s the hardest to dress. LOVE how the background turned out so I will be using it again in the future. Thank you all for always being so nice, have a great week! Must say the outfits suit Ailene and Faolan perfectly, I really love them both and they look very sweet coupled together like that. Thanks!! I do feel very lucky :)! Ashes is so adorable, I’d love to see photos of him together with your other dollies! I’m glad you like Ashes, I want to paint him as soon as the weather allows me to do so, I want to take so many photos! Irene is always so nice and she has such a great eye for gifts. That is a pretty awesome surprise parcel! 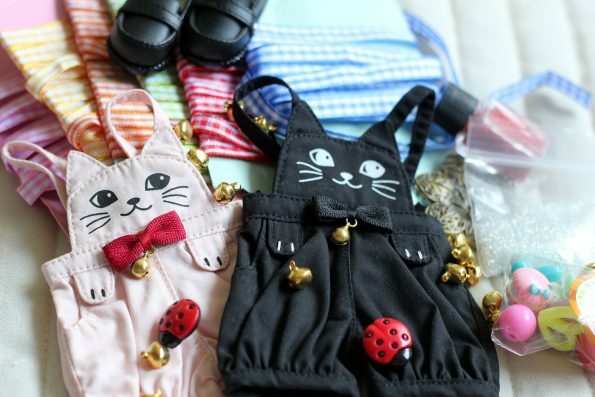 And those outfits are so adorable. 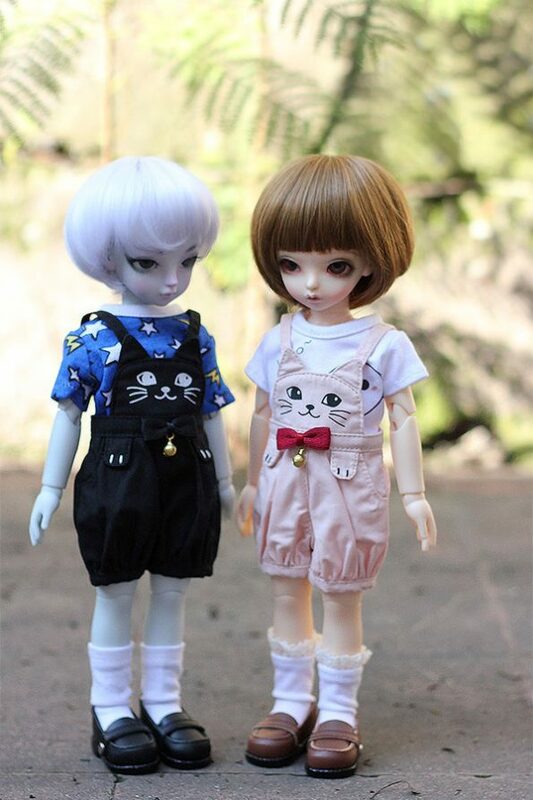 I love seeing both of your dolls in these but had to admit to doing a bit of squeeing, just a little at Faolan dressed in that. I’m glad you posted the original. I sometimes dislike how IG crops photos when you upload to that. I like this shot a lot. 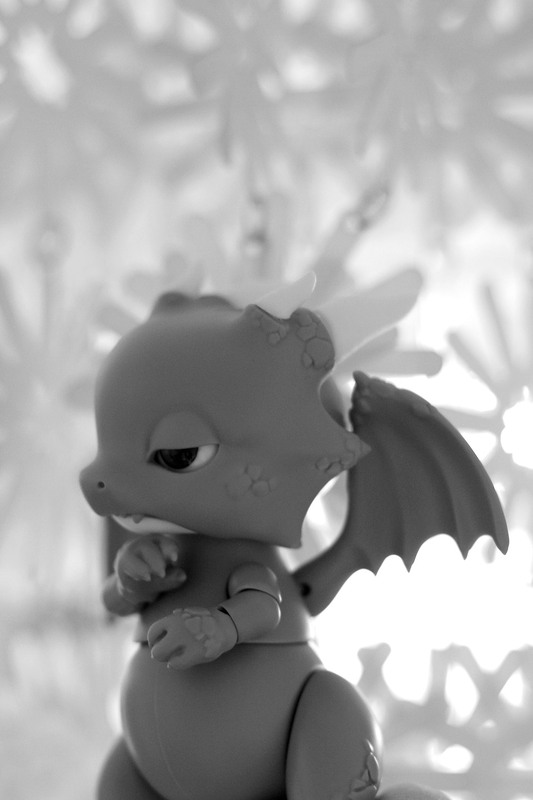 The B&W gives this great atmosphere, serious and thoughtful and even Ashes looks thoughtful and contemplative. Thanks!!! Oh I’ve seen all about your Pokemon adventure XD!!! I have a friend that bought a better phone just to play it when they release it here too hahaha ~ Keep enjoying the game, your dolls won’t run anywhere in the meantime :D! And your Ashes is very pretty, can't wait to see him painted!